When you enter a domain name or it’s easier to say a “link “over the internet, this domain name is sent to the DNS server in order to find the matching IP address record for this domain name and help users to find a specific website or help computers to communicate when sending emails. So the role of DNS is to resolve domain names into IPs. A network consisting of a number of DNS servers define the domain name system. 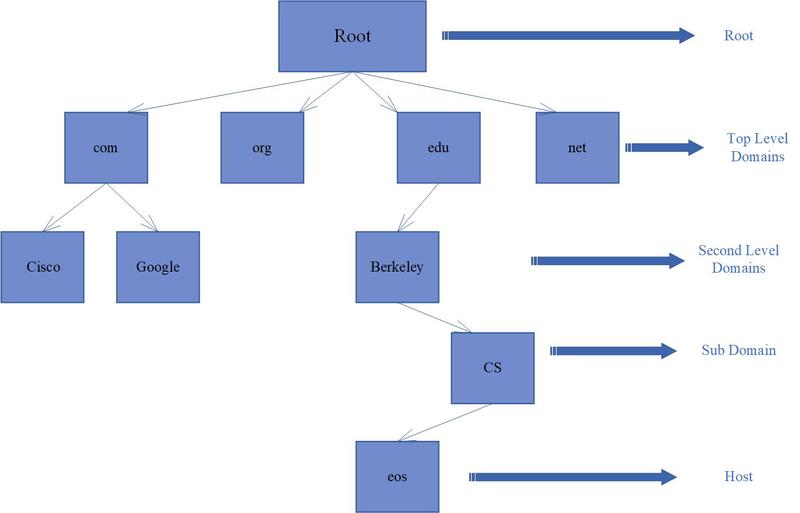 ● Each node in the DNS Hierarchy represents the name of the server. ● Each server is responsible for his DNS namespace Zone. ● Each DNS server function to resolve requests in its own zone. eos.cs.bekely.edu : is the Host domain where “eos” is the host server name. eos.cs.berkely.edu is the definition of a fully qualified domain name (FQDN). Now that we have briefly explained the DNS concepts, let’s move to a different point of discussion. You can configure only one Primary DNS for one zone and multiple secondary DNS for redundancy as a cloning backup for your DNS. The Primary DNS holds the original client data while the secondary holds a synchronized copy of the original data. The copy on the Secondary domain is a read-only copy but it could be updated when making any changes in the configuration files belonging to the primary server. Besides the use of the secondary domain as a backup, it could also be used for load balancing so that the flow does not overwhelm the Primary domain which may cause a denial of service. Can you delete a secondary domain after creating it? Yes, this can be easily done, but once it’s deleted it could never be retrieved back. After deletion of the secondary domain, the automated transfer or synchronization will automatically stop and all changes impact only the Primary one. How to delete the Secondary domain? Note: you can create a new secondary domain any time after deletion if needed.